Dutch homemade bitterballen are made with beef, it takes some time to create the beef stew but it's definitely worth it! Fried beef with a crunchy layer, what's not to love about that, right? DIVIDE the stewing meat into bite-size pieces. You can also cook the meat in store-bought stock, but we like to make it ourselves. CHOP celery stalks, carrots and onion into coarse pieces and rinse them well. 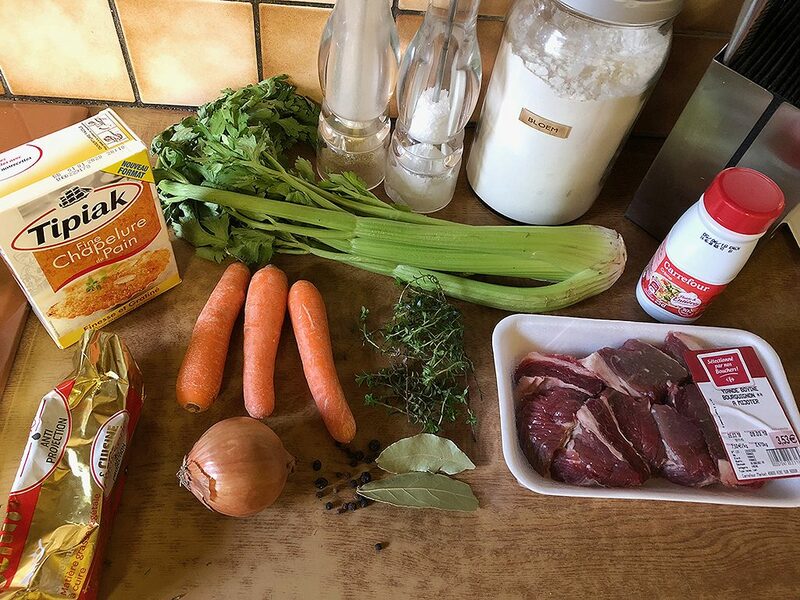 ADD celery, carrot, onion, stewing meat, bouquet garni, juniper and peppercorns in a medium-sized pan along with a liter of water and bring to a boil. As soon as the water starts to boil, turn down the heat and let it simmer for about 1,5 hours. You’ll notice the stock has reduced and has become flavorful. SIEVE the stock, and keep the meat and stock itself. The veggies and herbs were only used as seasoning. DIVIDE the meat into small pieces, you can use 2 forks for the best result. Measure 200 ml of the stock and set aside. HEAT 60 gram butter and then add 60 grams of flour all at once. STIR and let it cook for a few minutes. Gradually ADD the stock and keep on stirring to prevent it from creating lumps. ADD a bit of cream and the pieces of meat. SEASON with pepper and salt, don’t be careful with the pepper, it suits the stewing meat. DIVIDE the mixture over a shallow bowl and let it cool off for at least 4 hours. FILL 1 deep plate with flour, the second one with egg whites and the third one with bread crumbs. 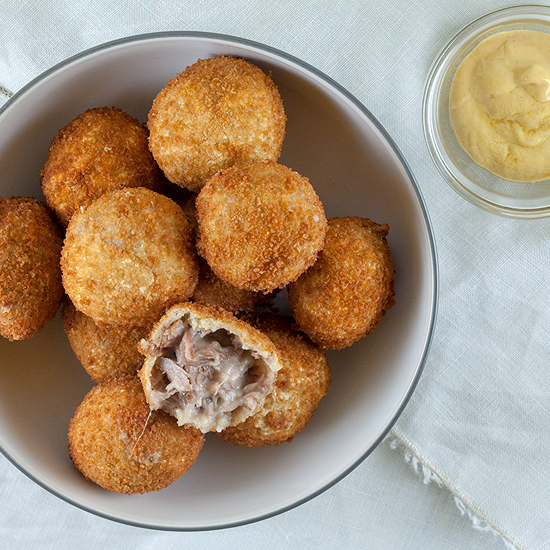 Use your hands to create balls of the ragout. 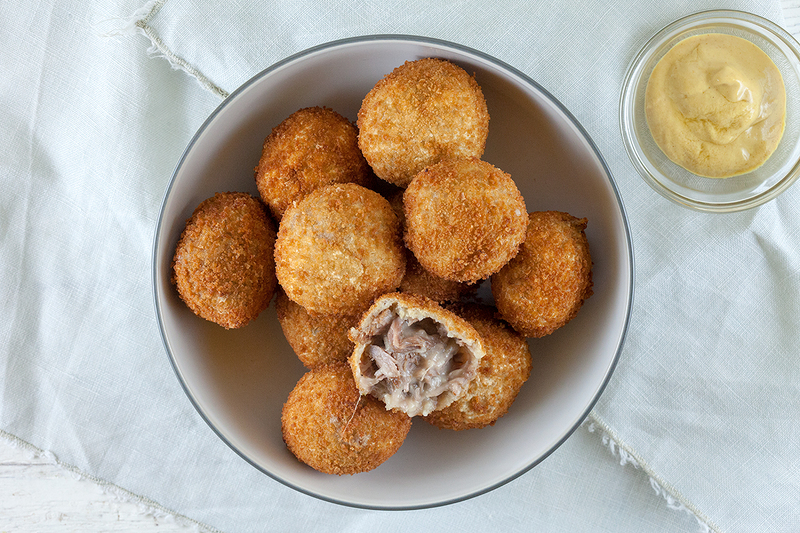 COAT the balls with flour first, then egg whites and bread crumbs. To make sure the balls are totally coated, you can repeat with flour, egg whites and bread crumbs. REPEAT until you’ve used all of the filling. HEAT sunflower or other neutral oil until it has reached about 180 degrees Celsius. 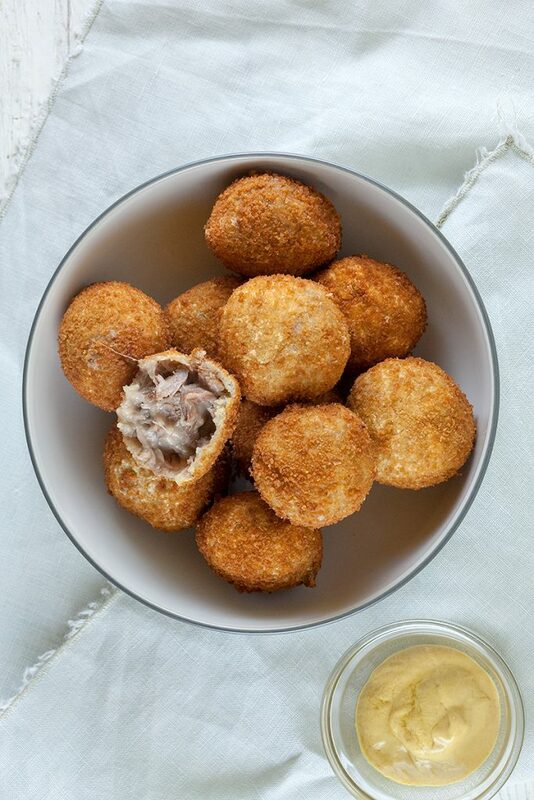 FRY the bitterballen until they’re beautifully golden brown and serve immediately with some mustard. Enjoy!